Oh, oh, fun stuff! 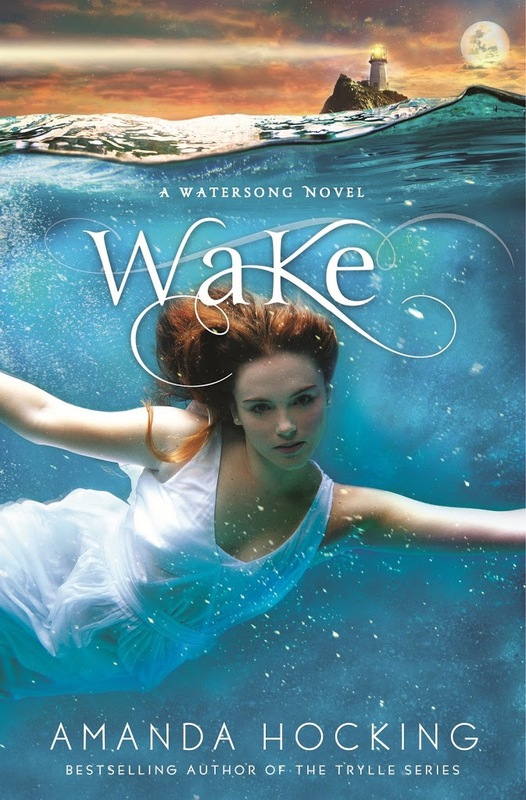 Remember the other day when I was talking about Wake a whole bunch and about how the Watersong series is so much fun to write and I love it so much and I want to marry it and have little baby bookmarks with it but I can’t because I would get paper cuts? (Okay, I didn’t use those exact words, but I thought some of them). It’s a brand-new never-before-published four book series coming out with my publisher (St. Martin’s in the US, Pan Macmillion abroad). Wake – the first book – will be out August 7, 2012 in the US (I believe August 9 elsewhere), and it will be in ebook, audio, and hardcover. This is kinda cool because I’ve never had a hardcover book in the US before – only paperback..
I’ve gotten a couple fun pictures of Ascend, but I’m waiting until more of the UK/Aussie/South Africa/Asia people can way in. Ascend comes out there today, and I hope you all like it! I’ve heard form a few people in the UK and Australia that they’ve already snatched up copies, so that’s fun. I also heard from publisher that people are grabbing up Ascend like hotcakes, so I want to thank all of you again for being so amazingly supportive and dedicated and just all around awesome. It’s because of you that I get to spend my nights playing make believe with a laptop. Thank you!!!!! Let me start by saying that I’ve read nearly every book you have currently available and have loved them all immensely. I’m eager to read Wake, but when I read the excerpt I personally found the unannounced P.O.V switches jarring and a bit confusing at first. Was the excerpt shown in the final format for the book? I also noticed the same thing in Virtue, though otherwise really enjoyed the story. I don’t want to sound like a snotty know-it-all, but maybe you could use something like ***character name*** with a space above and below to indicate the change in P.O.V? Just a suggestion. I have read switched and torn… From the moment i started reading switched i was hooked. I have not got ascend yet i am getting it this friday and i can not wait to see what is in store for wendy. Keep up the good work amanda u r amazing and i am a huge fan. I just cant wait to see what u do next. Hey, since you wondering, I’m from Asia specifically Malaysia and had grabbed & finished your book. Awesome!. In terms, of promotion, we got the usual poster in front of the store but I think it doing great as a) The poster is big and eye-catching. b) It’s right at the front door. c) There’s some free US Trip competition d) It’s under bestseller section. So, you’re good in terms of promotion. However, if you got a movie deal will prompt more people to buy (with gorgeous actors and actress of course). Anyway, keep up the good work. Can’t wait for Watersong.